Lorie Tucker has been coaching multi-sport athletes since 2009. She has coaching certifications with USA Triathon, USA Cycling, and US Masters Swimming and also actively trains and competes in a variety of endurance events. 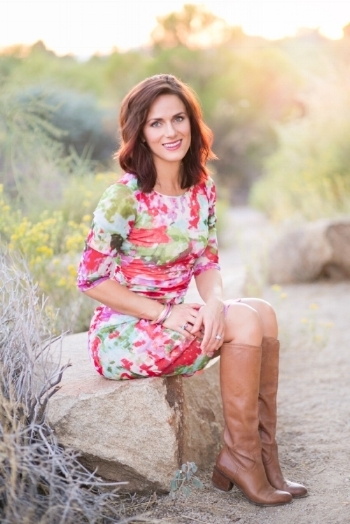 Lorie is a graduate of Brigham Young University. She began her journey into the triathlon world over 10 years ago and has completed numerous multi-sport events , including 5 full Ironman distance triathlons. She was a member of the Southwest Board of Directors for USAT and is also a founding board member of the Phoenix Marathon. Helping others dream big and reach their athletic goals is Lorie’s passion and commitment. As a mother of four, she knows what it takes to find that balance of family life and athletic pursuits to help mold a well-rounded, happier athlete. She takes the guess work out of the complicated workout schedules of a triathlete, molding a more time-efficient plan that brings out the best of any athlete, regardless of their competitive interests. "Coach Lorie is amazing! I learned so much during my year of training. She began by testing my A.T. (Anaerobic Threshold). She customized a workout plan for me, based on my heart rate zones. I loved receiving a weekly training plan! No guesswork, just Lorie's expertise! I appreciated her responsiveness to my daily online training log journaling (wordy). Coach Lorie helped me to stay focused on my goal. She took extra time to modify workouts for me, when I was injured. She is knowledgeable and positive! Coach Lorie helped me to achieve my goals! Let her help you achieve yours...."
I heard about Lorie from a friend while preparing for a race with her. It took me a while to decide that I really wanted or needed a coach for the beginner level of triathlons that I was doing. Once I called her, I realized I shouldn't have hesitated. I'm glad that I did a few triathlons without a coach because I can tell you what a tremendous difference hiring her made. I completed a 1/2 ironman when my 2nd baby was 10 months old and felt even better than the first 1/2 ironman I had completed before having any kids! Due to Lorie's coaching, I was excited and prepared for the race, felt good about my results and wasn't even sore the following day. I could really see the results of the minor (and sometimes major) changes made to my training. My workouts made sense to me, she was very prompt to answer emails and texts and sometimes lengthy phone calls to clarify things that I was unsure about. In addition, it entirely took the guess work out of my training! That was the best part of all, having a plan that was fun and easy to follow and someone who was interested and encouraging me every step of the way. It was also a huge help having her along for several of my long rides (that I know I wouldn't have done on my own) and I think the biggest difference was in my swimming ability. I feel so much better in the water due to her expertise. Let's not forget the great track workouts, too. I'd never done one before hiring her. I didn't even know how. I can tell you if you're interested in completing any length of race and want focus and guidance, along with great results, Lorie is the coach for you.